Multi-session: 关注server设置MAXSESSIONS，client端设置MAXNUMMP，设置RESOURCEUTILIZATION in client option file. tsm可以备份一些被locked的文件，这些文件是由于某些应用的需要而拒绝某些进程的访问。tsm使用Open File support(OFS)通过Logical Volume Snapshot Agent(LVSA)来实现,但有可能在备份多个locked文件时导致文件的不一致，可以使用PRESCHEDULECMD和POSTSCHEDULECMD使文件一致和closed状态. journal-based backup 可用于windows client，可用于tsm v5.3.3 和更高版本的B/A client,and for AIX client. 将文件与管理类进行link process is called binding. 注：lan-free 的backup的恢复需要安装tsm client code。而且不支持"bare machine recovery"能力. - 使用可擦写cd或zip drive，使用tsm定义一个子REMOVABLEFILE device class. 在进行incremental backupx或selective and incremental-by-date backup时，当从client filespace 或者目录时并不通知server. Multi-session restore 可以在B/A client执行no-query restore时执行多个restore session. - Commands: administrative schedule只能初始化一个内部的tsm 命令，而client不仅可以执行一个内部的client action，而且可以执行一个外部的命令如a shell scrīpt or executable. DSMI_DIR Points to the path containing dsm.sys,dsmtca,the en_US NLS language. - Migration:对于primary pool，可以通过Highmig和Lowmig参数来控制。copy stgpool不能。对于random access stgpool,可以指定MIGPocess参数，可以将其参数值等于drive的个数.默认为1. 通常回收需要2个或更多的驱动器会更有效，但是，也可以通过设置RECLAIMSTGpool参数来指定一个顺序存储池, reclaimstgpool允许指定另一个存储池的顺序卷作为他的holding area.这个存储池必须为primary sequential storage pool.由于该存储池必须为顺序的，所以可以指定其设备类为FILE. 最好的粒度是设置collocate的参数是"Filespace"，如果collocation by filespace被定义，server 会尝试一个volume上的一个节点的filespace.如果节点有多个filespaces，server 会将数据存放在不同顺序卷的每个filespace. disk caching只用来设置disk storage pools. (set the cache setting to "yes") 在迁移进程迁移一部分数据到下一个存储池之后,会将迁移的数据同时保存在disk cache里,以便于恢复和还原. > 需要更多的database space .因为server要跟踪文件的cached copy和迁移到其他存存储池的copy. - Tape library sharing: TSM带库共享可以使管理员集中tape资源,以供多个tsm servers使用.带库共享提高备份和恢复的性能和带库的硬件利用率. - LAN-free client data transfer:基于TSM server的控制,存储池被分配给TSM Client来运行SAN存储代理.client的backup数据通过SAN直接传输到存储池,client和server之间的控制信息通过LAN传输,而且只占用极少的带宽. - Library partitioning: 许多流行的带库都可以分成逻辑上的两个或多个虚拟的带库.每个逻辑带库都有自己的驱动器集和cartridge slot ranges.每个server只能访问属于自己的分区. - Library sharing:是指连接到SAN网络的主机都可以共享整个带库.每个tsm server都可以访问所有的带库和带库的slots.如果带库卷为private,则表示只有它所属的主机可以访问它.如果要使用新的磁带卷,则可以通过scratch tape pool得到. 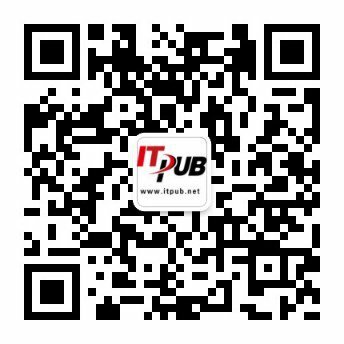 使用register node命令注册节点时会自动建立一个管理id,该管理ID名与节点的名称相同.这个管理id可以被用于client web浏览器接口去执行远程的备份与恢复操作.可以指定选项 userid=none来注册一个新的节点并且阻止其生成管理id.而使用register admin或grant authority命令来建立访问nodes和nodes data的权限.这样做的好处是可以远程地执行多个工作站节点的备份与恢复功能.